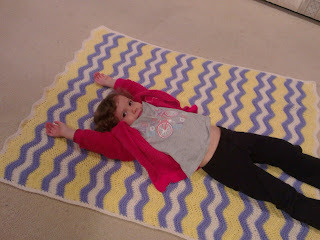 Sew, Stamp, Stitch: Ripple Blanket finished! 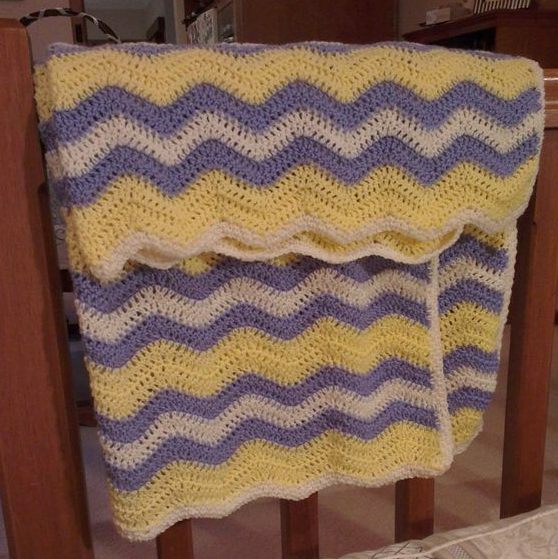 Remember way back in February, when Mel over at One Crafty Mumma organised a crochet blanket Ripple along? I know,it's a while ago now! 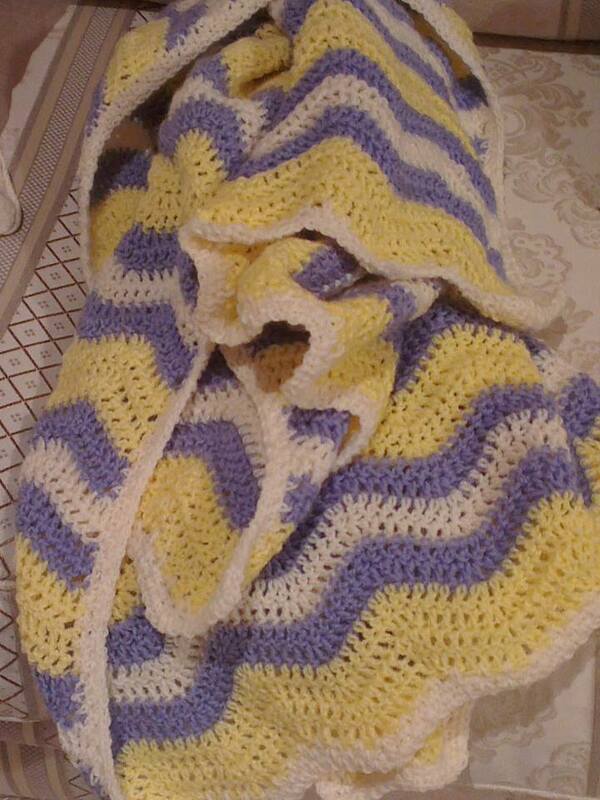 I have been rather slack with keeping up with my blanket, however, I have finally finished it! The first half went quickly, but the second half did take me a while, however I am so glad I stuck with it. The coziness of it is just lovely and it has been keeping me warm as I have been working on it! I lay it out to measure it and my model decided to roll all over it, but it measures approx 41" wide by 46" long. A decent sized lap blanket anyway and my yarn calculations worked out really well. A little bit of the lavender left, I had to use a little of a second ball of cream which had a different batch number, but the same dye number, so that wasn't noticeable, and then I decided to add 3 rows of single crochet (with 1ch spaces) around the edge to finish it off, which used up pretty much all of that second ball. So approx 6 balls of 8ply yarn all from my yarn stash using a 5.5mm hook. 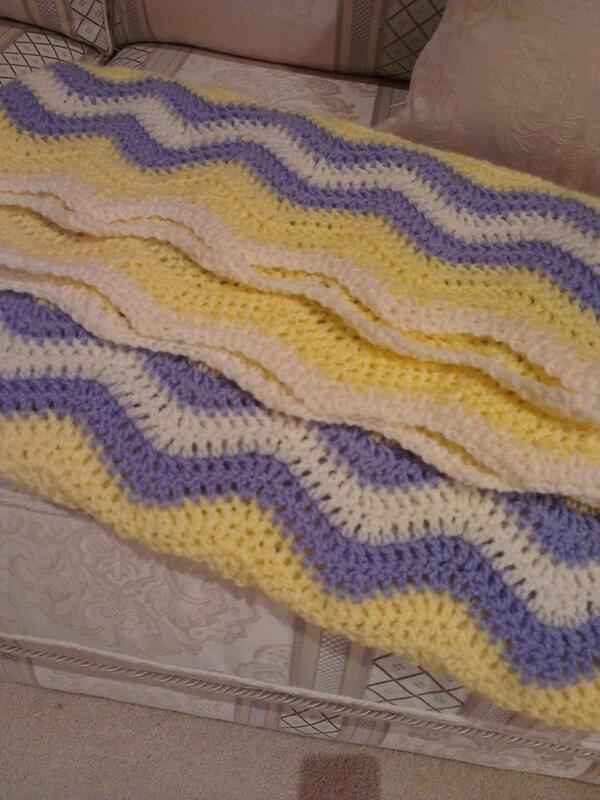 The other thing that makes this blanket special is that the yarn was added to my stash from my Nanna's stash. Unfortunately we had to say goodbye to her late last year when she passed away and it has been really hard since then to not be able to visit or pickup the phone and just talk to her. Some days I still forget that she isn't here anymore and of course, the last month or so with Mother's Day and her birthday have been a little less happy occasions this year. My grandpa began sorting out the cupboards early this year and knew that she would want me to have her knitting and wool, so I inherited a yarn stash as big as the one I already had, and working on this blanket with the yarn I know my Nanna had chosen at one time or another has helped me feel closer to her, just for that bit longer. Thanks for the inspiration Mel and I am happy to have it ready and waiting to be gifted to the right person! Have a look here to see Mel's and some other beautiful ripple blankets!